Hyundai will unveil the all-new 2020 Sonata at the New York Auto Show in April, but leaked photos have provided a sneak peek at the coupe-style sedan ahead of its debut. Sadly, the photos provided by the Sonata XF forum aren’t great quality, but they do offer us a first partial glimpse at the redesigned sedan’s front, rear, and interior. The candid photos appear to have been taken from a factory floor, confirming the new Sonata will have a more distinctive and stylish design than its predecessor. 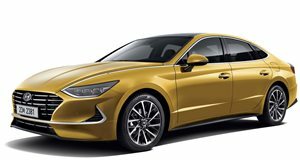 The eighth-generation sedan has taken some design cues from the stunning Le Fil Rouge concept that previewed Hyundai's future design direction, although the production model’s design has inevitably been toned down. That said, the front looks sharper than the current model thanks to full-LED headlights, a cascading grille, and chrome trim that extends into the air intakes. At the back, the 2020 Sonata’s taillights look similar to the Honda Civic sedan’s and are connected with a full-width light bar. We also get a first look at the 2020 Hyundai Sonata’s interior, which features a center console that looks more premium than the current model. These changes seem to support recent claims made by SangYup Lee, head of the Hyundai Global Design Center in Namyang, Korea, that the new Sonata will have a radical redesign, but we’ll have to wait until the car is officially revealed to find out if it will turn heads and have the same impact as the coupe-style 2011 model like Lee claims. 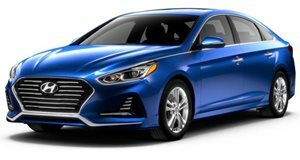 The 2020 Hyundai Sonata is expected to go on sale in the US with engine options from the current model carrying over, including a 245-hp 2.0-liter turbocharged four, 185-hp 2.4-liter naturally aspirated four, 193-hp 2.0-liter hybrid, and 202-hp plug-in hybrid. The current model’s 1.6-liter turbocharged engine could be dropped in the new model, however, while the six-speed automatic transmission could also be scrapped in favor of the current model’s eight-speed and seven-speed dual-clutch transmission options. With its debut slated for the 2019 New York Auto Show in April, Hyundai should release some official teaser photos of the new Sonata sooner or later.